The Chinese company Jiangxi Zhongmei Engineering Construction Company Limited has recently commissioned 1,029 boreholes in several regions in Ghana. The project, funded by the government, with the help of the Chinese government, cost $20 million. Ghana’s Minister of Sanitation and Water Resources, Cecilia Abena-Dapaah, recently inaugurated 1,029 boreholes in Ghana. It is a project from her ministerial department that has been entrusted to the Chinese company, Jiangxi Zhongmei Engineering Construction Company Limited. It had started work in 2015. 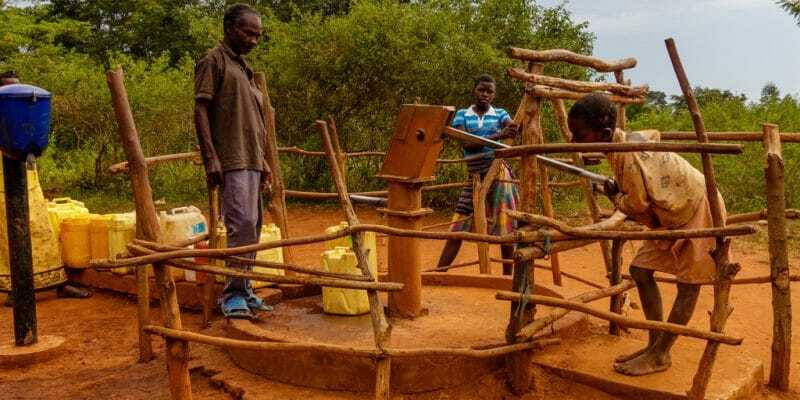 Of the 1,029 boreholes now functional, 52 were equipped with electric pumps, 976 with hand pumps and one solar borehole was installed in Asante Akyem Nord, in the Ashanti Region (south-central). The project is spread throughout the country: 182 boreholes have been built in the upper-eastern part of Ghana, 148 in the Volta region, 13 in Greater Accra, 155 in the northern part of the country, 146 in Brong Ahafo, 162 in the eastern part, 148 in the western part, 28 in the Ashanti region and 10 in the centre. According to Jiangxi Zhongmei, each well will serve more than 300 people. According to the Ghanaian government, 500,000 people will therefore have access to drinking water. The total cost of this project was $20 million. Funding was provided by the Ghanaian government with the support of China. At the inauguration ceremony of these facilities, the Minister announced that the government plans to build a total of 25,000 boreholes throughout Ghana. Jiangxi Zhongmei will certainly be part of this important project for the future. In Africa, however, the company does not only carry out drinking water projects. In November 2018, the operating permit was withdrawn by the National Environmental Management Authority (Nema) for a stone quarry in Makwabuye and Butali, two towns in western Kenya. According to Nema, the dynamites used by the company would cause very serious damage, both to the environment and to local populations. Some residents have seen their houses destroyed by pieces of stone due to dynamite explosions.